So cute! 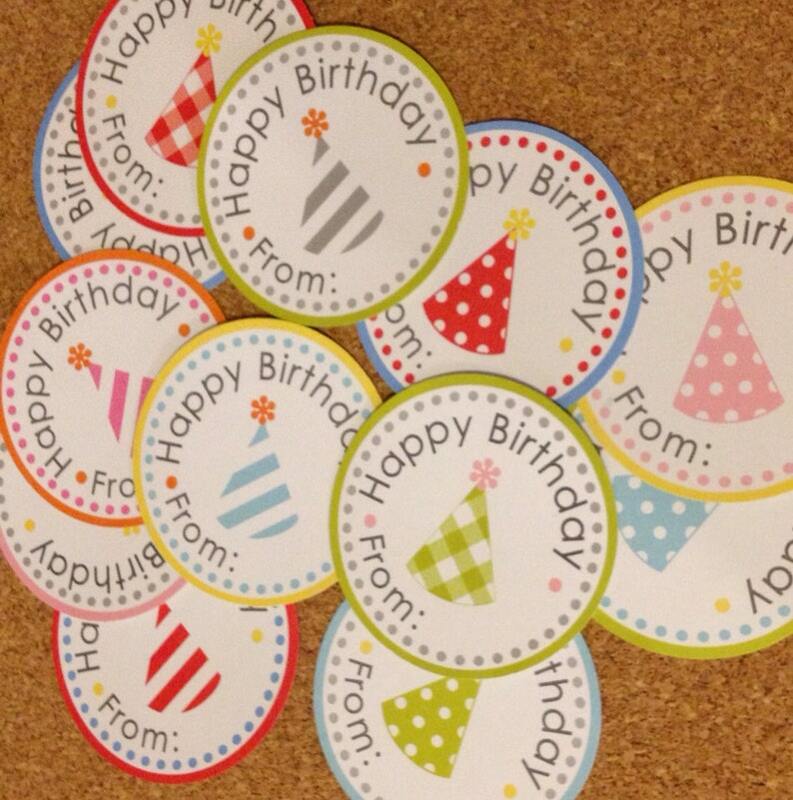 Birthday Labels in a variety of colors and patterns. Labels can serve as gift tag and center piece ... NO BOWS OR CARDS NEEDED! MATERIAL - 60# Matte Cover-Up label paper with scored peel-off backing. *60# so it's nice and heavy. *Cover-Up so it covers up any pattern underneath. *Scored "crack and peel" backing for easy removal. *This gives you the option to add the giver's name by hand. *For pre-printed names please see the "Customized Gift Label" section of my shop. COLORS - Labels will be printed in a variety of colors as shown in the last listing photo. PRINTING METHOD - Labels are laser printed so colors are crisp, vibrant and won't run. PACKAGING - Packaged in resealable cellophane envelope with card-stock header. So cute! Everyone compliments how much they love these! Adorable and cute labels - love them! Very creative and colorful. This cute little sticker is companion to the pretty Chevron paper ribbon I also purchased from Paperjacks and I know the recipients of my packages will be pleased even before they are opened when they see the presentation! Many Thanks, Paperjacks! My first purchase from Paperjacks and it's a home run! Pretty, cheerful product and the packaging is the same! Shipping was more than fast and secure! Many thanks, Paperjacks!